1. Brioche rolls are too buttery and too fluffy to carry beef patties. 2. I am sorry to say that grass-fed ground beef tastes sour. Always. 3. Caramelized onions are too sweet! The best onion on a burger is a raw onion. 4. If I feel like I am wrestling an octopus, there are too many ingredients in my burger. 5. 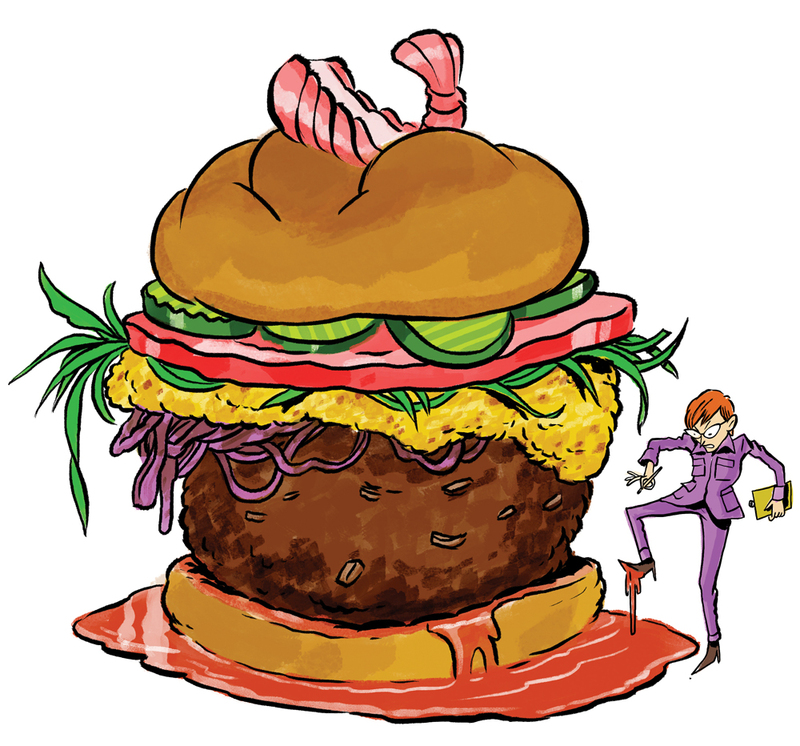 I don’t care how special your patty meat blend is; if I have to spit out a single piece of gristle, you are out. 6. “Smoked” burgers and burgers with barbecue sauce? No. 7. Spherical burger patties don’t work for me. This isn’t a meatball. 8. While I adore rare steak, no burger is allowed to squirt blood onto my roll. 9. Plastering a patty with half an inch of pimento cheese is, quite simply, disgusting. 10. If you put a piece of shrimp or a maki roll on top of my burger, you are dead meat. After the egg, I’d like to nominate the avocado as the world’s most perfect food. Almost as rich and smooth as a stick of butter, it’s a study in green: chartreuse meat protected by leathery, forest-green skin. I am pretty good at picking avocados at the grocery store, but selecting the proper knife to pry out the pit fills me with nervous anticipation. Will I slice my hand? Will I discover hateful brown spots? Can I remove the tough skin without compromising the velvety flesh closest to it? Even though its status as an exotic luxury has been jeopardized by the prevalence of lackluster guacamole, the avocado remains a singular treat. I am happy to see avocado toast, a major national trend, making headway in Atlanta in restaurants such as Ponce City Market’s Spiller Park Coffee, Ladybird Grove and Mess Hall, and 8Arm. As for good guacamole, one chef deserves special mention: Sean Brock serves the freshest and most vibrant in town at Minero.